2 May 2013 A British community leader has been indicted in Bangladesh for his alleged role in the killing of 18 people during the 1971 liberation war from Pakistan.Chowdhury Mueen-Uddin strongly denies any role in the murder of 18 intellectuals in December of that year. He is alleged to have been a member of the Al-Badr group, which identified and killed pro-independence activists. He is accused with another alleged Al-Badr member, Ashrafuzzaman Khan, a United States citizen. His lawyers have rejected all the allegations against him. They say that none of the accusations have ever been formally put to him and there has been no attempt to question him. ‘The statements made by members of the government of Bangladesh are grossly defamatory to my client, wholly untrue and are refuted in their entirety,’ his lawyer Toby Cadman told the BBC. 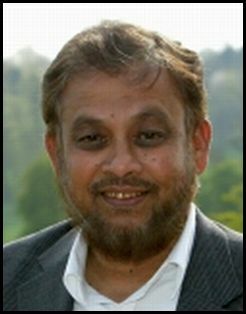 Mr Cadman’s website carries a detailed rebuttal of all the allegations against Mr Mueen-Uddin. The Jamaat-e-Islami (JEI )was founded in 1941 and is Pakistan’s oldest religious party. The party had it’s origins in the thoughts of Maulana Sayyid Abul A’la Maududi (1903-79), the most important Islamist intellectual in the history of Southeast Asia. Maududi was also a major influence on the global Muslim Brotherhood with whom the JEI has long enjoyed close relations. In the United States, the Islamic Circle of North America (ICNA) is generally considered to represent the JEI. In February of this year, Bangladeshi Jamaat-e-Islami leader Delwar Hossain Sayedee was found guilty of eight counts of war crimes committed during the nation’s 1971 fight for independence. Bangladeshi media has reported that in addition to Mr. Mueen-Uddin, also facing similar charges is Ashrafuzzaman Khan. In 2009, the Investigative Project reported that Ashrafuzzaman Khan was an active leader of the Islamic Circle of North America (ICNA) and was under federal investigation to determine whether he failed to disclose his history with a paramilitary group when he applied for U.S. naturalization. The Islamic Circle of North America (ICNA) is a part of the U.S. Muslim Brotherhood and considered to be closely tied to the Jamaat-e-Islami organization of Southeast Asia, itself allied with the Global Muslim Brotherhood. ICNA is particularly close to the Muslim American Society and the two organizations have been holding joint conferences in recent years. Note: The information on the Mueen-Uddin indictment was found on Money Jihad.